Award Winning Gardens that feature Summerhill Lawns Ltd roll out grass, topsoil and our range of products at Garden Festivals throughout Ireland. Our aim is to provide top quality turf and topsoil with an efficient delivery service. And also to ensure our customers are completely satisfied with our service and product. 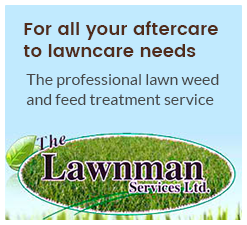 Lawnturf from Summerhill Lawns is Irelands biggest selling and most frequently specified, being the first choice for both professional landscapers and experienced gardeners. Every Year we display our products for judging in connection with the relevant competing Designers and Landscapers at different Garden Festivals throughout the country. Here is a sample of those award winning gardens.